Hands up who else got a case of twitchy fingers over the bank holiday weekend?! After a comment left by the lovely Anna on my last blog post, I realised that it had been sometime since I looked at Uniqlo so I thought I'd best have a little peruse of their website! An order of a couple of random items was placed forthwith. Firstly, secured this. Next up, I thought it would look great with the Zara camo jacket I've had for a few years now, it's still a firm fav! It would also look superb with a pair of sandals on my wishlist.....those silver Saltwaters will definitely be mine this summer! 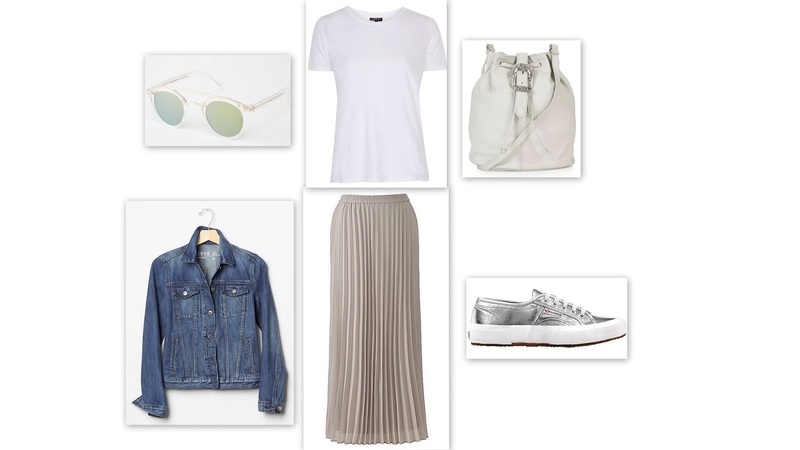 And last but not least.....everything goes with a denim jacket, plain white tee and silver Superga doesn't it?! I like to make sure that a wardrobe addition like this is going to go with many things I already have and isn't going to hang in there unloved! So just to be sure.......I did have a little peruse of Pinterest just to give myself a few more ideas! How gorgeous would it be with a denim shirt and some flat tan strappy sandals or an oversize sweater and statement necklace?! I would have worn the skirt today....it's been glorious here but unfortunately we plumped on doing a bike ride so it was more of a trousers kinda day! But here's a little taster anyway! I went for a size a medium as I didn't want the skirt to sit right on my waist, a little lower on the hips if you please! This is where I keep ya hangin' as I'll fill you in on my other purchase next time! ;0) Once I've figured out how to style them that is! So! I'll be back in a couple of days with the other purchase I made! It's fair to say I am loving a bit of Uniqlo at the moment! What brand is floating your boat this season?! I would love to hear! Back soon with the other purchase! Good old Dotty P's I've noticed have some really good pieces this season! 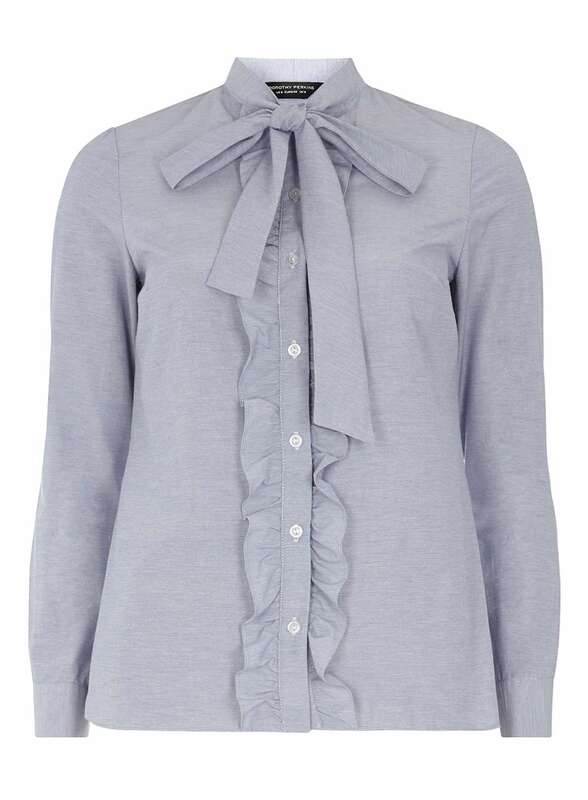 After seeing this gorgeous blouse on the lovely Alex from The Frugality.....I had a little snoop around on their website. As much as I love this shirt, admittedly it is something that wouldn't slot that easily into my wardrobe or that would suit my lifestyle to be fair. 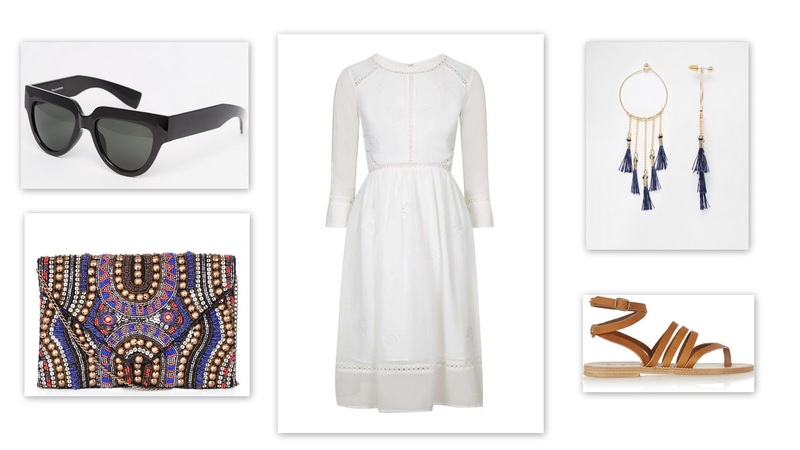 But going in search of it has lead me to find some other gems that would slot in perfectly with my style! First up....how fab are these trews?! 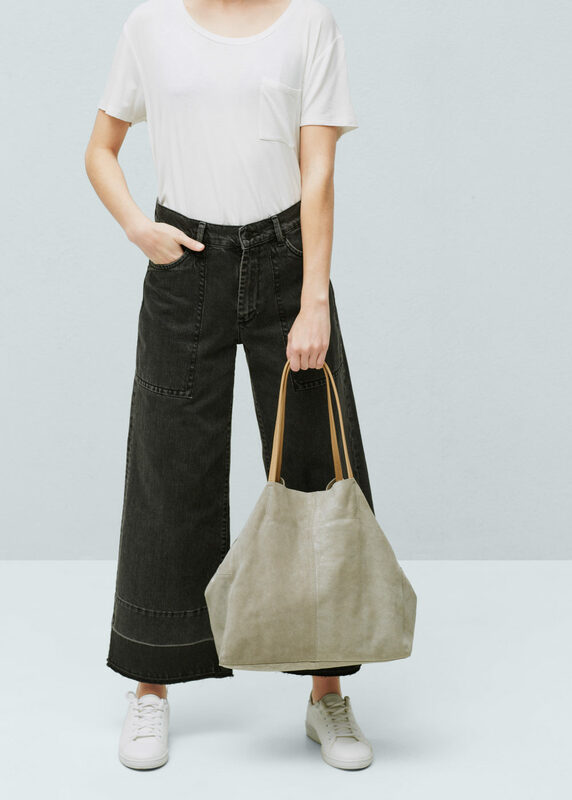 Having just bought the Topshop grey slouchy trouser I can see just how great an alternative these would make to my beloved jeans for spring. These certainly could be making their way into my wardrobe over the next few weeks. They are currently reduced making them just over 20 quid! I'll warn you now....this is quite a random list! Next up is a trend that looks like it is going to be big again this summer, the cold shoulder top. The fluted long sleeve is another detail which is all the rage at the moment as well. 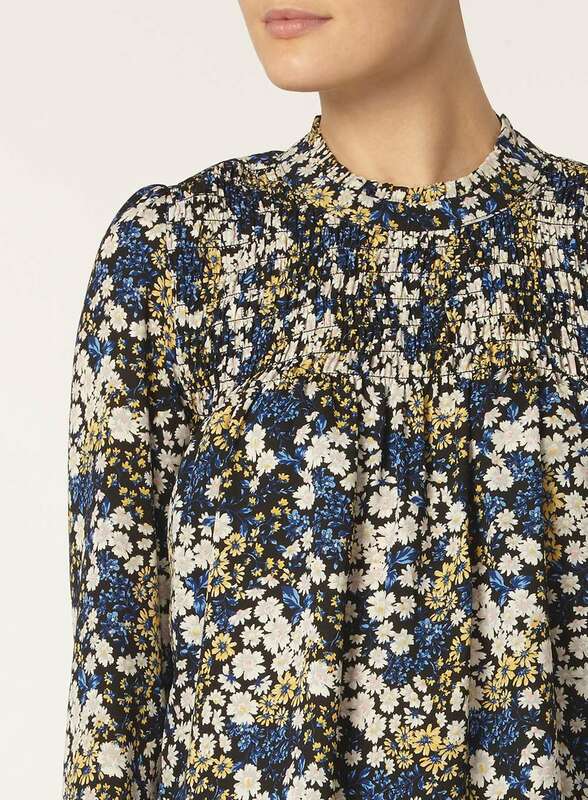 Sticking with tops....love this little ditsy print number. 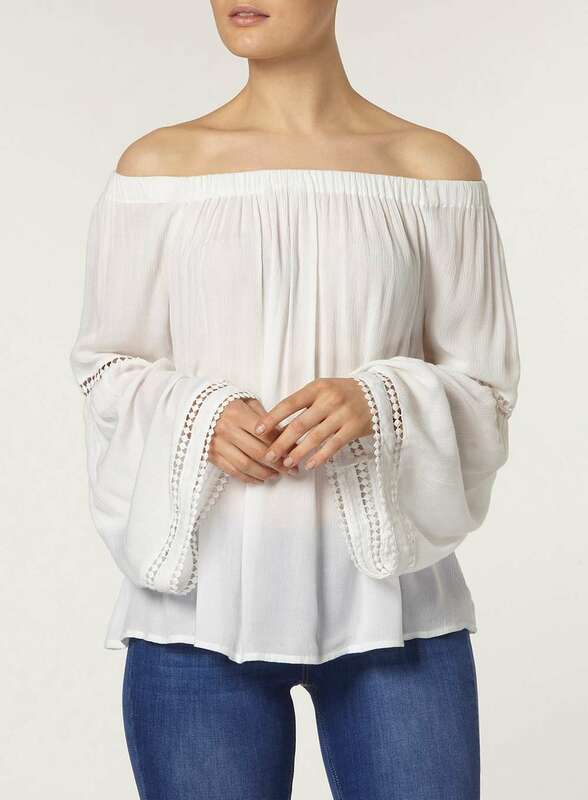 Although I struggle to make blouses work as they are quite dressy, this is the kind of top that I think would look fab under the DP pinafore I bought last year.....more on that further down. 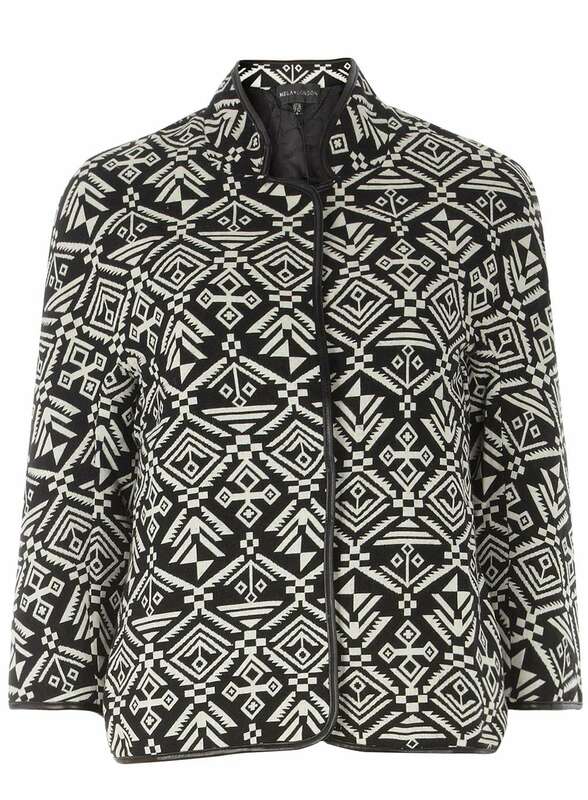 Going off on a tangent....but this appeals to my monochrome tendencies and would fit in so perfectly into my wardrobe. This is from a brand that DP stock that I am familiar with called Mela. 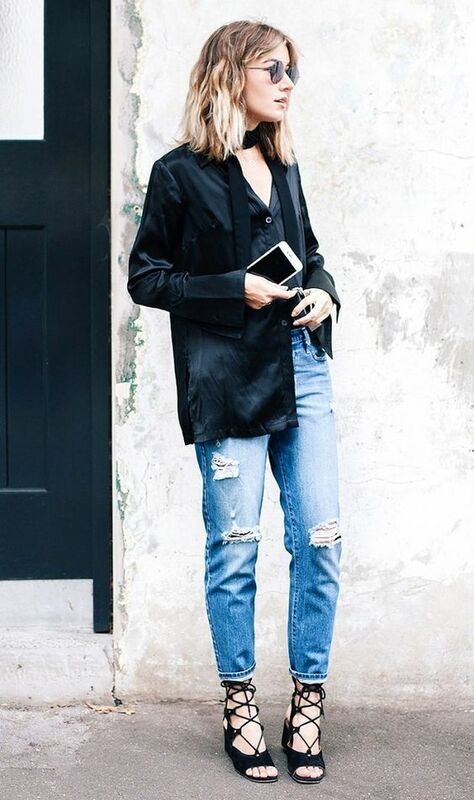 This would be brilliant for breaking up some of my all black outfits. And finally....this was in fact my last purchase from DP! 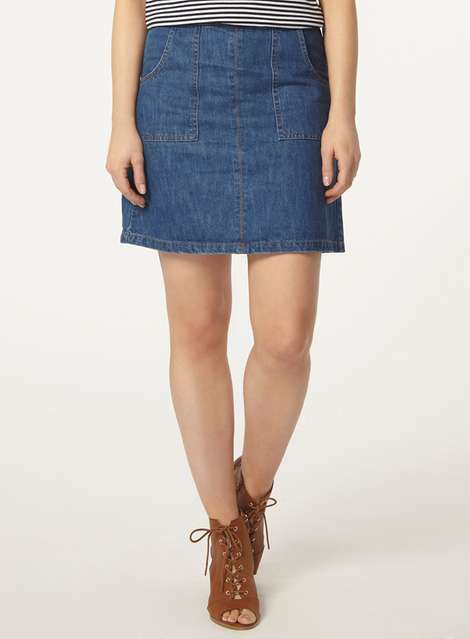 I may just have to get it in this colourway as well as mine is dark denim and the lighter wash is a tad more summery! This was great with a Breton or plain tee underneath but it also worked well with a shirt or Victoriana style blouse underneath. The same went for footwear.....I favoured it with my Stan's or Converse but it was also looked fab with flat tan sandal. Have I sold it to you yet?! 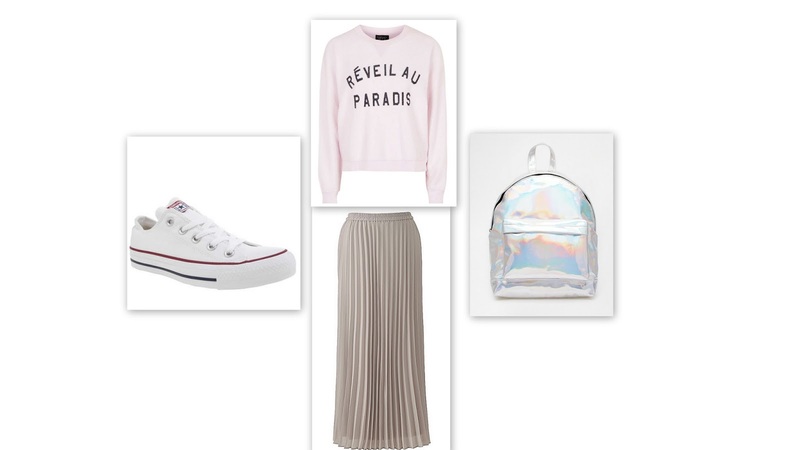 My usual outfit round-up from the past few days. We had a few very promising spring like temps....now things have turned chilly again so I've slunk back into the winter wardrobe again. 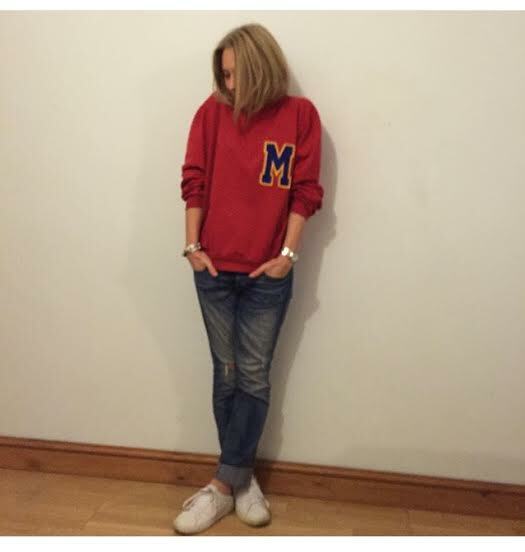 Are there any other High Street stores you sometimes overlook that it's time to revisit? I would love to hear! I will be back in the week.....no doubt with more stuff that has caught my eye! Today I've welcomed a new bag into the fold. I saw it Mango, instore last week, I was rather taken with it but that little voice in my head said nah-ah......you've had a very spendy month lady!! Anyway, it was still on my mind a couple of days later so I took to a bit of frantic eBaying to scrape together the funds. 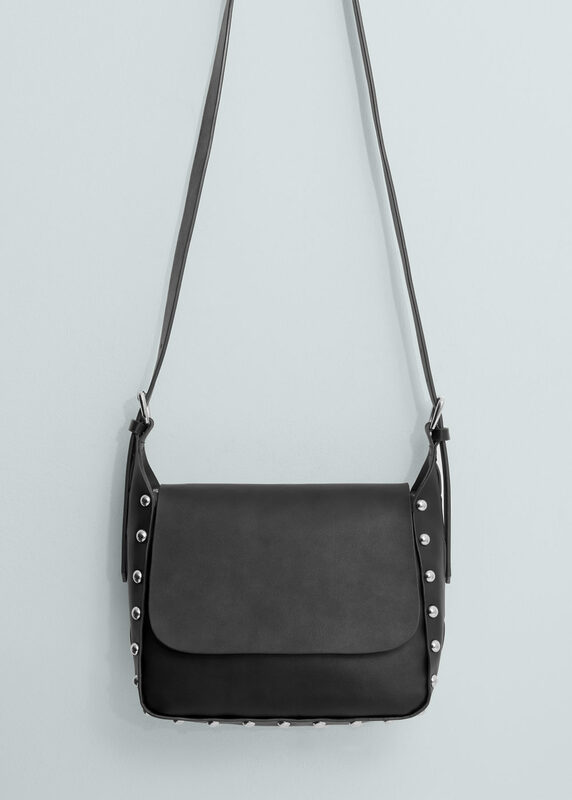 I'm still trying to work on the basis of the one in, one out so I sold another black bag to make room for this one. And what really makes my heart sing is that it matches my favourite sandals! 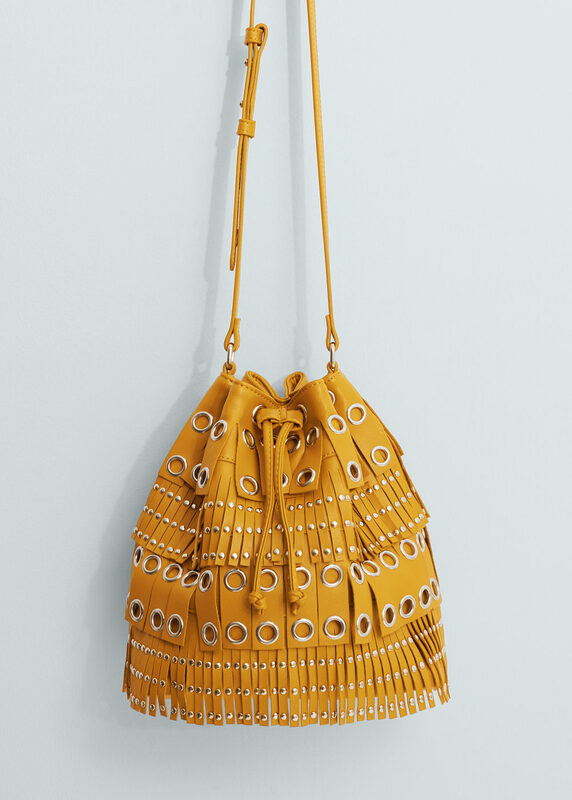 Whilst I've been lusting over my prospective purchase online all week I've obviously come across another bag or two that have caught my eye. Last but not least....a pop of colour. 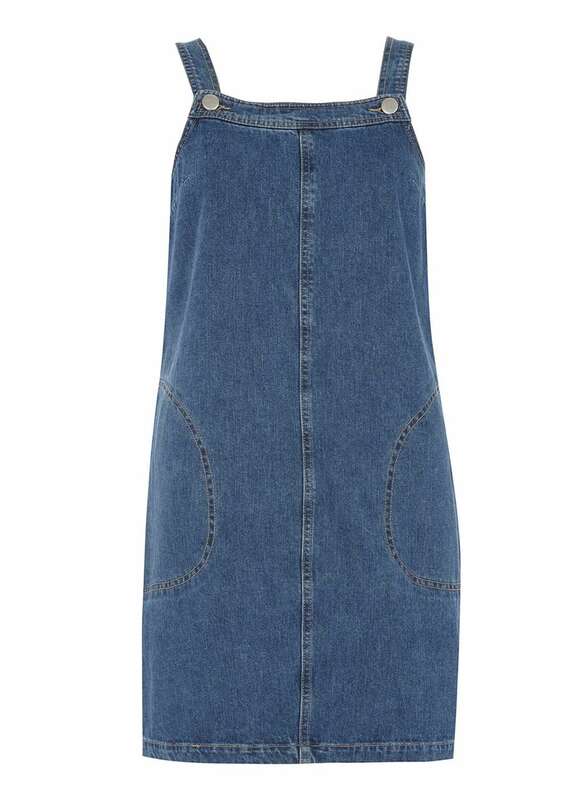 This would work wonders for lifting some of my neutral transitional spring outfits and it's such a bargain at £19.99! 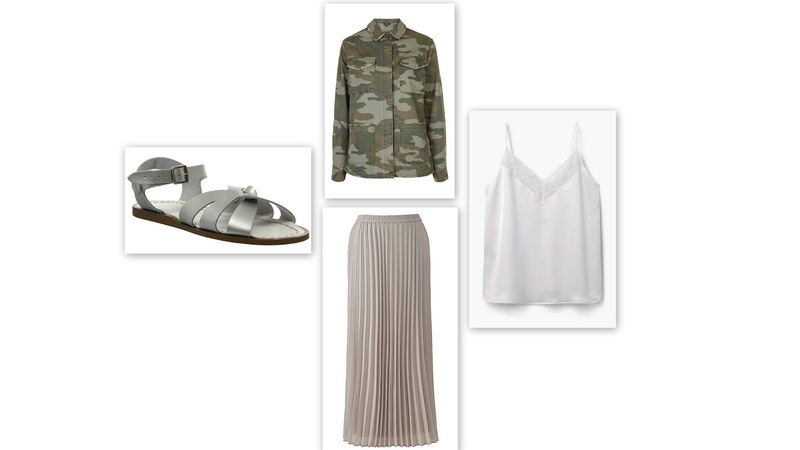 Onto my outfit round-up from the other couple of days this week. 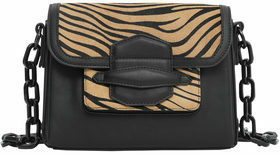 Have you treated yourself to something lovely as a hump day treat? I would love to hear! A quick update from my last post on the Topshop grey slouchy trews....they are here and I love them! I will be sporting them tomorrow weather permitting. Back at the weekend with a few other things that have caught my eye.